Landscapes & Habitat: Grune Point is a shingle and sand ridge which protects Moricambe Bay from the storms of the open Solway. It has been improved for agriculture and is fringed on the northern bank by gorse and dune grassland. At the tip of the spit the ground is accreting but along its front erosion is taking parts of the spit away. On the front at the town of Silloth the coastline is man made with large areas of groynes encompassing shingle and sand beaches and concrete revetments. And at the southern end are the docks which form the port of Silloth. The best time to visit: There is birdwatching interest in Silloth all year round, no one season being any better than another. 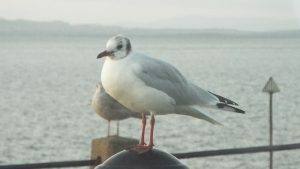 Birds: Gulls dominate the sea front of Silloth from black headed to great black backed. Waders fill the intertidal zone and move around with the tides, oystercatcher, turnstone, dunlin and redshank are around in good numbers as are cormorant and in winter divers and grebes are common. On Grune a range of wildfowl including scaup can be seen and in spring little tern and ringed plover can be seen. In the dune areas stonechats and linnets are common. Falls of migrating warblers can be brilliant given the correct conditions of a westerly or north westerly gale. Local Knowledge: Early morning walks along Grune can produce a good list of passerine migrants in late April and early May. A high tide watch during November can produce some good sea birds such as pomarine skua and petrels. A scan of the docks usually reveals either sheltering grebes or divers in late winter and early spring. The Solway Coast around Silloth has been identified as an ‘Area of Outstanding Natural Beauty’ because of its unique coastal landscapes and habitats. From the rich rolling sand dunes at Wolsty and Mawbray to the secluded Salt Marshes north of Anthorn, the Solway Coast has an endless supply of surprises for the visitor. 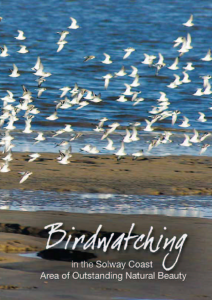 The Solway Coast AONB has something to offer the birdwatcher all year round.